Caitlyn joined Natural Area in January 2012 as a Horticulturalist after completing her degree in Conservation Biology and Management from the University of Western Australia. After a brief period as Nursery Assistant Manager, gaining experience in native plant production and species identification, Caitlyn moved into the Programs office to assume the position of Environmental Programs Administrator. In this role, she is responsible for project management, site assessments, monitoring and reporting. 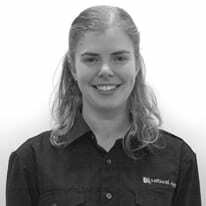 She is experienced in flora and vegetation surveys and weed mapping using GIS, both being requirements in the preparation of various types of environmental management plans including feral animal, revegetation and restoration management plans. Peet and Cardno – flora and vegetation monitoring surveys, Burns Beach. Would You Like To Contact Caitlyn?